Diane E. Sugrue, Esq. | Nukk-Freeman & Cerra, P.C. I enjoy learning about my clients’ corporate philosophy and goals. That knowledge helps me provide sound advice about the risks and solutions that are unique to their business. 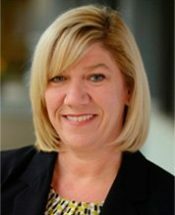 Practicing labor and employment law for more than 25 years, Diane Sugrue brings over ten years of in-house counsel experience to Nukk-Freeman & Cerra, PC. She has significant experience counseling clients in all aspects of labor and employment law on a national basis, including issues relating to employee discipline and discharge decisions, harassment, leave benefits, corporate restructuring and union awareness. Ms. Sugrue has worked closely with senior management and Boards of Directors to provide advice and risk analysis on a variety of employment related matters. She has extensive experience providing employee and management training in numerous employment related areas including harassment, FMLA, ADA, and workplace ethics. In addition, Ms. Sugrue defends employers in state and federal employment cases including whistleblower actions, restrictive covenant matters, and employment discrimination lawsuits. As a former global compliance officer, she has a wealth of experience structuring the scope and timing of efficient and effective internal workplace investigations, as well as the development and execution of workplace compliance programs. Ms. Sugrue has also served as the Compliance Expert for a global pharmaceutical manufacturer subject to a Corporate Integrity Agreement and was responsible for assessing compliance program effectiveness. Honorable Harry A. Margolis, P.J.